Notes: NLDS Roster taking shape, Uribe out for NLDS, Harvey late to team workout today | We Gotta Believe! The NLDS roster is taking shape for the Mets, and has been narrowed down to 27 possible players. Out of the 38 man active rosster, 5 players, Anthony Recker, Eric Campbell, Eric Young Jr., Logan Verrett, and Bobby Parnell were sent to Port St. Lucie to stay in shape should the need for them arise. Today, it was announced that 5 more players, Dilson Herrera, Johnny Monell, Eric O’Flaherty, Dario Alvarez, and Tim Stauffer have been sent home. 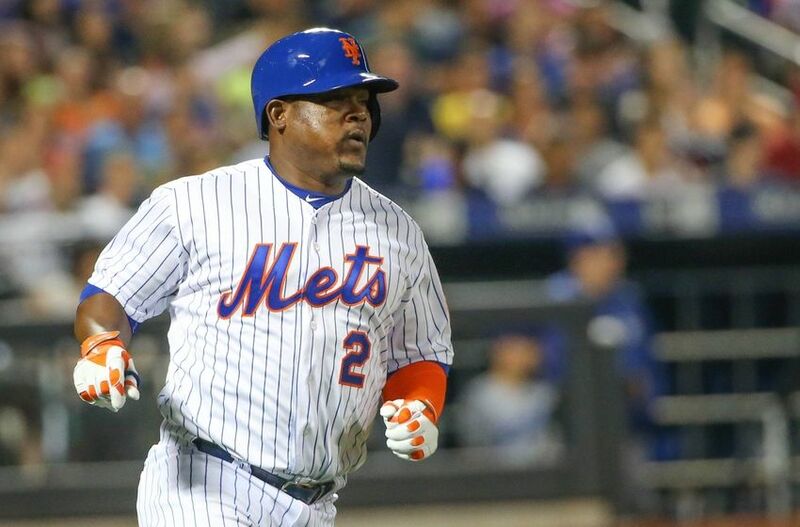 In addition, it was announced that Juan Uribe will be unavailable for the NLDS, narrowing the roster possibilities to 27. The roster does not have to be finalized until early Friday. The NLDS starts on Friday at 9:30 ET (probably more like 9:45) with Jacob deGrom facing off against either Clayton Kershaw or Zack Greinke at Dodgers Stadium in Los Angeles. UPDATE: According to Sandy Anderson, the Mets will carry 11 pitchers. This would seem to solidify Kirk Nieuwenhuis’s position on the roster, putting the last spot between Goeddel, Gilmartin, and Torres.